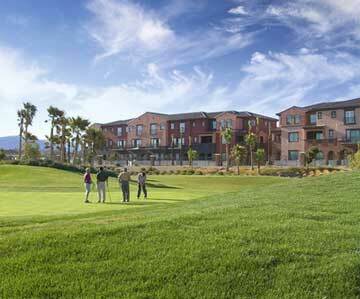 The luxury Summerlin condos located adjacent to JW Marriott Resort, Angel Park and TPC Las Vegas golf courses. Nearly $37 million have been pledged for construction financing by TierOne Bank, Nevada State Bank and Colonial Bank. First phase real estate closings are expected to begin during this summer. Prices for the luxury condos for sale start in the low $500,000s with 2,000 to 4,000 square feet. An included feature are views of Red Rock Canyon, Las Vegas and the golf course. In addition to location of a resort and casino within walking distance, there is a upper level shopping center nearby. With pricing starting in the low $500,000s the builder says they are near levels seen five to six years ago due to the new mortgage lenders. Hopefully to stir interest for the luxury resort community in today’s current financial market. To get the information to current Las Vegas mid rise buyers Nexus 30 has been hired for sales and marketing for Mira Villa real estate. They are a Las Vegas company with a high profile of urban profiles with sales of over $2 billion in the past three years. Troubled Mira Villa condos in Summerlin expect to start sales in June 2009.